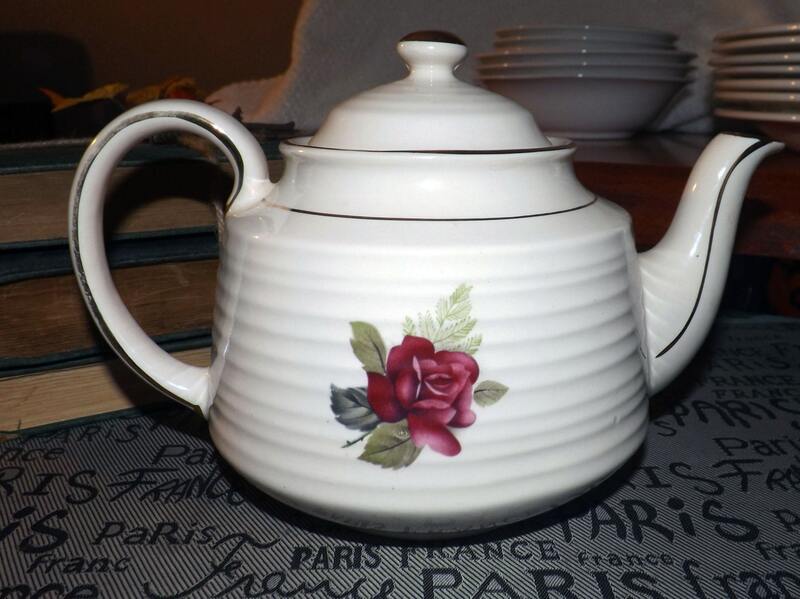 Early mid-century (1940s) Sadler hand-decorated teapot. Red and pink rose bursts, ferns, greenery, gold edge and accents, ribbed body. 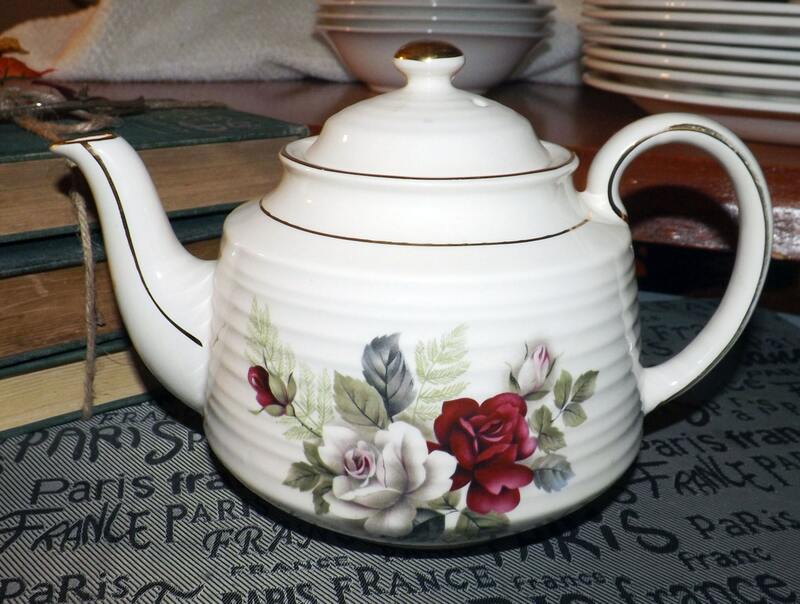 Early mid-century (1940s) Sadler hand-painted teapot featuring red and pink roses, gold edge and accents and a ribbed body shape. Off-white ground. In EXCELLENT! vintage condition with NO! chips, cracks, or fleabites, VERY MINIMAL! gold loss to the edge or accents (although there is SOME! wear to the top of the button lid - please review the posted photos). 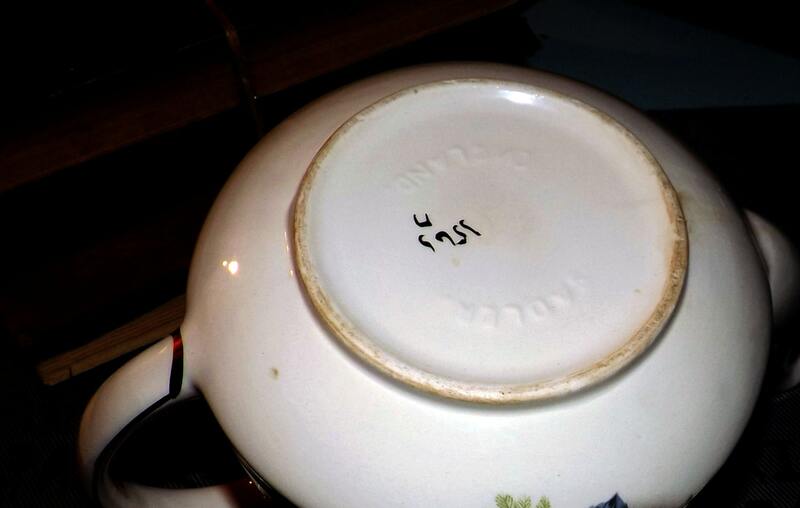 There is some tannin staining to the inside bowl of the teapot (again, please review the posted photos, specifically photo 4), but otherwise, NO! 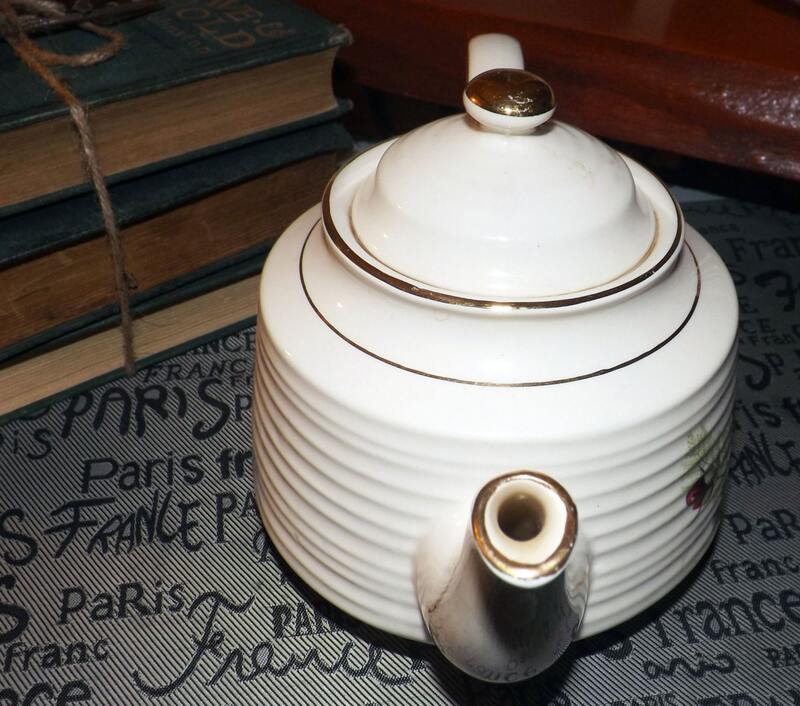 marks, stains, scratches or signs of use or wear, There is some crazing to the teapot, although nothing out of keeping with its age (please DO! 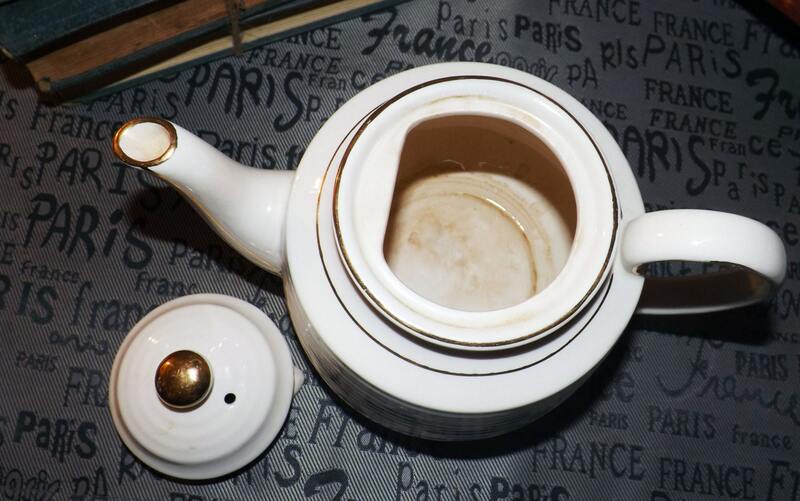 review the posted photos for a complete visual of the teapot). The red and pink rose blooms are bright and vivid with LITTLE TO NO! fading apparent.